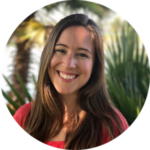 I am Rosemary Fotheringham, a certified NTP (Nutritional Therapy Practitioner) dedicated to helping others feel and look radiant, overcome sugar addiction, and live happier, healthier lives through the power of real food. Separate nutrition facts from fiction. You’ll learn why the vast majority of mainstream beliefs about what is healthy and unhealthy is completely wrong. Balance the “Flourish Fundamentals”. The essential foundations (Nutrition, Movement, Sleep, Relaxation & Restoration, and Connection) that need to be in balance for you to be happy, healthy, and radiant. 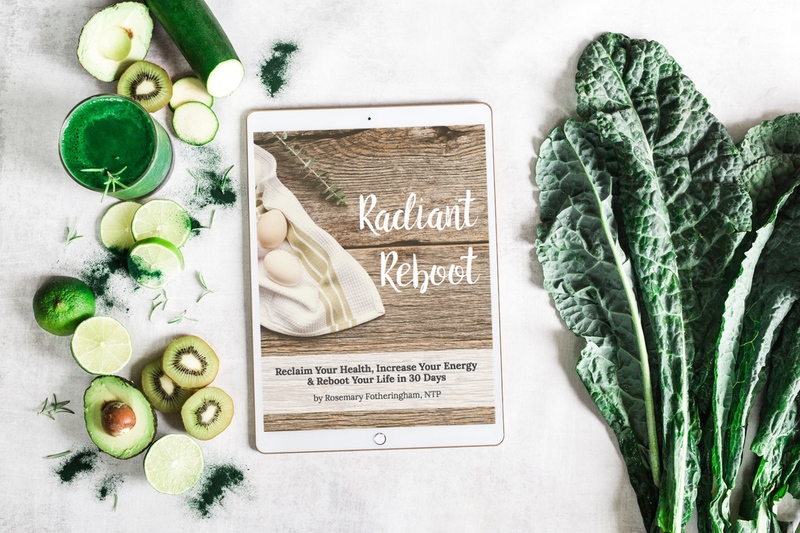 The PDF guide includes step-by-step tips for completing a 30-day Radiant Reboot. As a bonus, you also receive detailed resources such as a Basic Guide To Fats, a Symptom Questionnaire, a Food & Mood Journal, Coca’s Pulse Test, and Helpful Supplements & Targeted Nutrients. 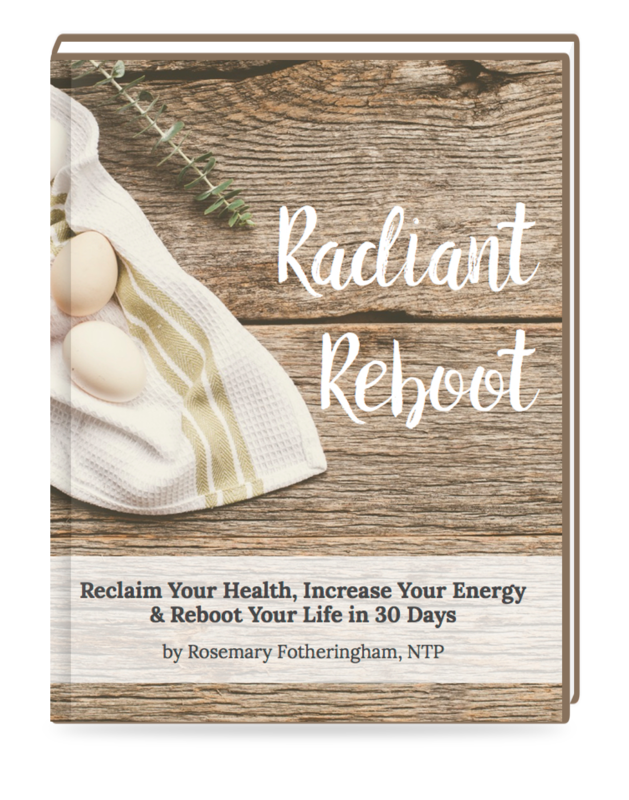 Join the Flourish Fundamentals Insider, my free newsletter, to immediately download a free chapter of Radiant Reboot: Reclaim Your Health, Increase Your Energy & Reboot Your Life in 30 Days. You will also receive exclusive recipes and extra support from me.